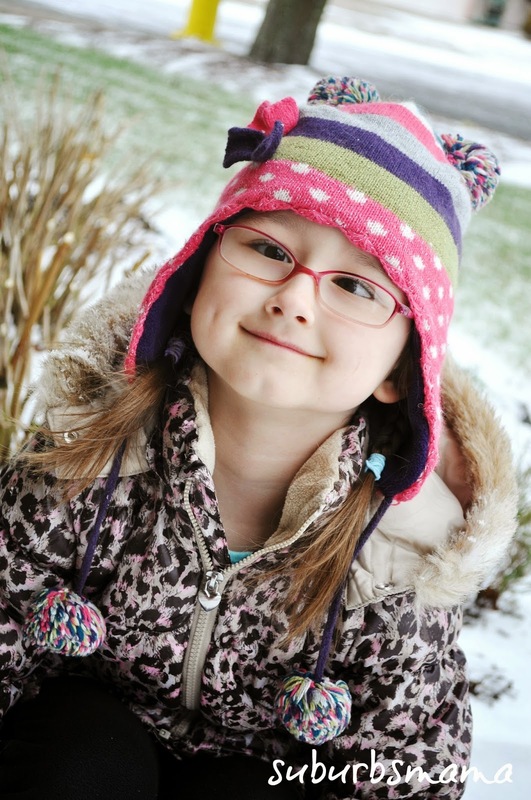 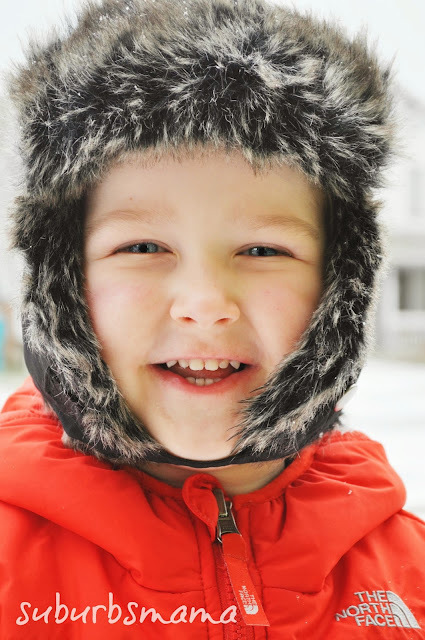 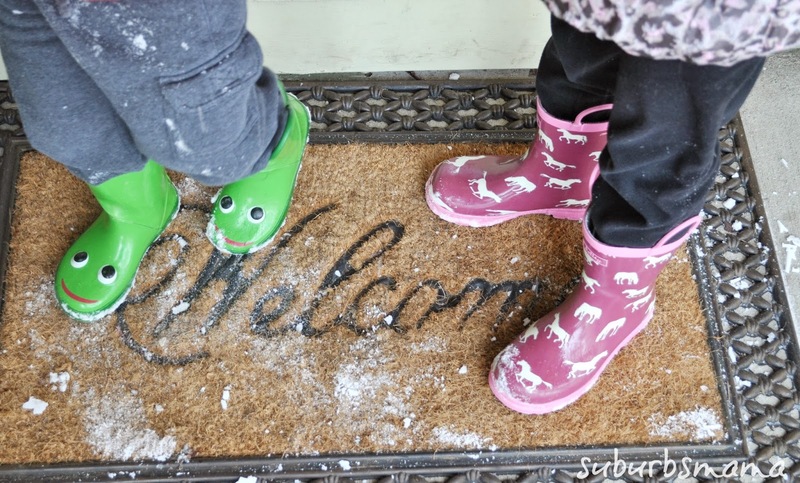 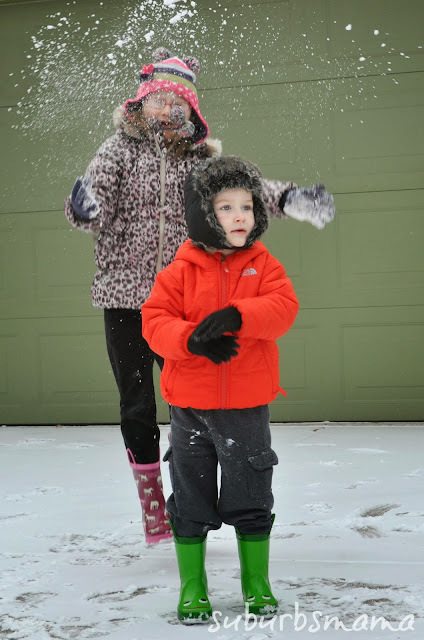 Children think that snow is just the best thing ever, don't they?! When they see it snowing, they practically start jumping off walls, and keep asking if they can go outside. Today we had the first flurries of the year, which is a lot to say since last year we didn't get any snow at all. 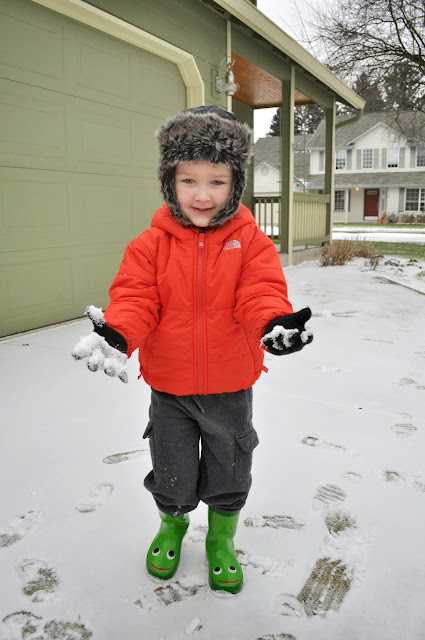 They practically inhaled their breakfast and were dressed and ready to go to play in the first snow. 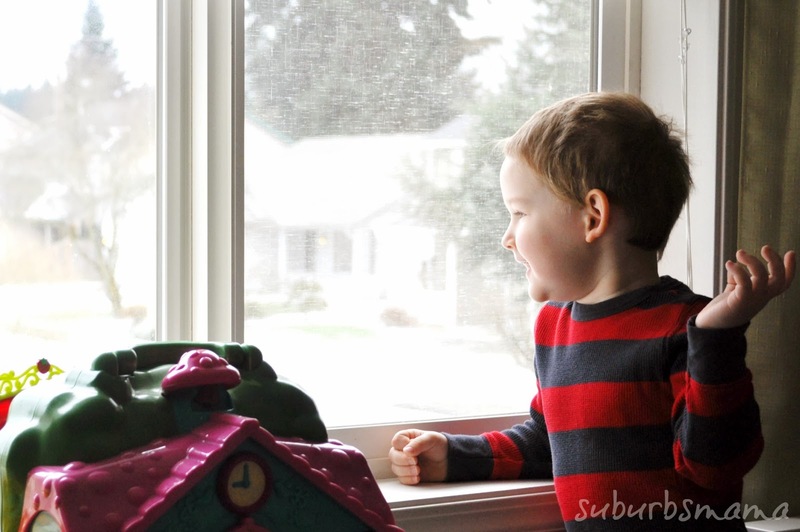 What a sweet picture of anticipation as your son looks out at the snow !